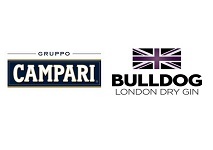 Italian spirits company Gruppo Campari has announced the acquisition of Bulldog London Dry Gin, an independently owned brand, for $55 million (€50.9 million) plus working capital and assumed liabilities for $3.4 million. Campari has been distributing the premium gin since 2014 through its own distribution channels as part of a five-year agreement, with the option of acquisition of the brand in 2020. With the new deal the firm will take full control of the brand. Bob Kunze-Concewitz, Campari chief executive officer, commented: “This deal is an opportunity to consolidate our presence as a key player in the attractive super premium gin category via a super-premium brand with significant growth potential. By gaining full control of Bulldog Gin’s marketing, strategy and brand building initiatives, we are strongly positioned to exploit the brand’s full potential”. Bulldog Gin was created in 2007 by entrepreneur Anshuman Vohra. The premium gin is a quadruple distillation of a blend of 12 botanicals from eight countries in a traditional copper pot.